Snow days. Hurricanes. Icy road conditions. Tornado warnings. Business closures. Power outages. As a business owner, how often do you think about these types of scenarios and what they mean to your company’s payroll? The answer is probably not often enough– that is, until inclement weather conditions arise. Many business owners then conclude that “if the business is closed, no one gets paid”. As a premier human resource consulting firm, we tend to hear this from business owners and managers far too often and it’s scary. 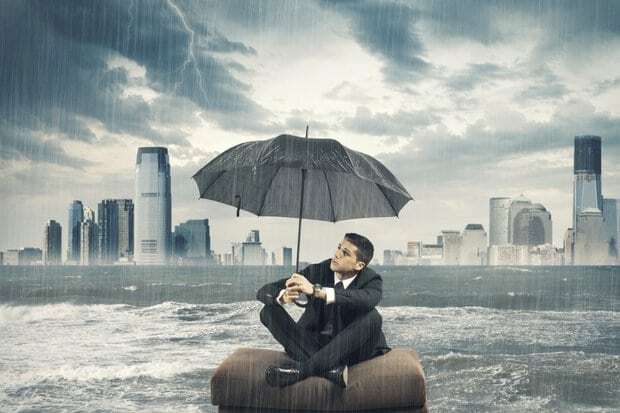 There are employment and labor laws at the federal and state level surrounding such incidences that dictate several compensation requirements, because there are times you must pay an employee even if the business is closed due to inclement weather. Generally, when a business closes due to inclement weather, exempt employees (those who are exempt from the Fair Labor Standards Act (FLSA)) must be compensated if they are willing and able to work and perform some work within the payroll period (even as little as a few minutes). This applies even when an employer does not have any work for the employee. However, when the business closes for the same reasons as above, a non-exempt employee (those who are not exempt from the FLSA and receive overtime) would not be compensated if they do not work. SCENARIO 1: A non-exempt employee refuses to come into work. RECOMMENDATION: You do not have to compensate the employee because they did not perform any work. SCENARIO 2 A non-exempt employee arrives to work late. RECOMMENDATION: You must compensate the employee for the time they actually work. SCENARIO 3 An exempt employee refuses to come into work. RECOMMENDATION: You do not have to compensate the employee for the day because it would fall under what the FLSA calls a day off for personal reasons. Note: An exempt employee who refuses to come into work but performs work at home must be paid. Employers may discipline an employee for who refuses to come into work in accordance with their policies on the matter. SCENARIO 4 An exempt employee arrives late to work. RECOMMENDATION: You must compensate the employee for the full day. Note: An exempt employee who performs even a few minutes of work is to be compensated for the entire day. As mentioned, you can discipline the employee for not reporting to work at the designated time in accordance with your policies on the matter. The rule of thumb for non-exempt employees “No work, no pay”. The rule of the thumb for an exempt employee: “Pay to Play”. As always, HRinMotion, LLC is here to assist you with your compliance needs. Give us a call at 240-838-7142 or email us at info@hrinmotionllc.com to schedule your consultation. It is always a pleasure serving you and your organization.